as zone element for the connection of a single detector or detection contact. Several elements can be united in a logic detector zone. as detector zone in addressable conventional technology. With the aid of address modules, up to 64 addresses per detector line can be individually identified. 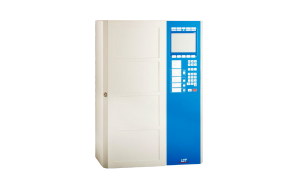 In the event of an alarm, the fire detection control panel indicates the number of the detector that is activated first, as well as the parameterised text information. Depending on the type of detectors, the function of the detector line – for example, manual call point zone, automatic fire detector zone, technical message, fault message or system input – can be parameterised individually. The GIF608-1 is equipped with a processor of its own. At a possible central processing board failure, the diversified redundancy concept thus ensures reliable alarm recognition. 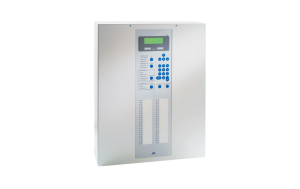 Each input of the conventional detector interface is protected against overvoltage, thereby providing high system stability. The conventional detector interface is actuated and powered via the system bus of the control panel. A firmware update and the transmission of the parameters are also carried out via the system bus. The « hot plug & play » function allows the conventional detector interface to be connected or removed during normal operation, the componentry is detected automatically by the central processor. The condition of the bus communication and of the componentry is indicated by an integrated light emitting diode. The detector lines are wired as branch lines. A wire breakage or short circuit is indicated on the control panel as fault of the detector zone or of the element. Maintenance and the exchange of the componentry are made easier by the use of pluggable screw terminals for the detector line connections. For general control tasks, 8 freely parameterisable open-collector outputs are integrated on the GIF608-1. 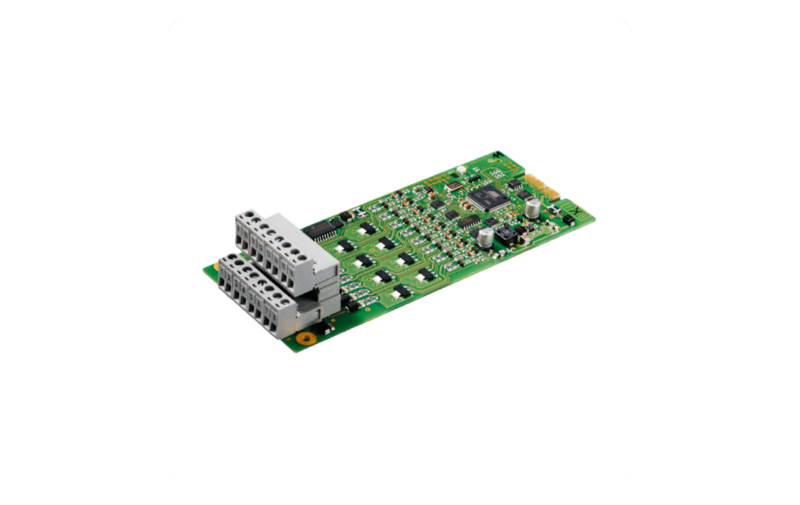 The outputs can be used for directly actuating a Relay Module RL58-1 or RL58-2.